Each season, the East Metro Symphony Orchesta performs various concerts and hosts learning opportunities throughout our community in an effort to share our love of music with eager audiences of all ages. In the months of February and March, EMSO performed three of our outreach concerts in the east metro for very different groups of our community – ranging from high school students to seniors. The joint concert was conducted by Dr. Elizabeth Prielozny Barnes (EMSO Music Director and Conductor) and Kelly DeMorett (ERHS Director of Orchestras). Both directors work with the students prior to the performance to offer them the opportunity to challenge themselves to perceive music from a higher perspective. “The overall message that EMSO has for these student musicians is that active engagement as musicians, and especially as orchestra musicians, can be a deeply satisfying part of their lives for the rest of their lives, regardless of their ultimate career path and lifestyle,” says Barnes. “High school orchestra students can see themselves as musicians after they leave the confines of their K-12 student careers. This is one of the greatest blessings that EMSO has to share with these young students, and that is what makes our annual side-by-side concerts such a vitally important part of what EMSO brings into our community. EMSO hosted two senior living center concerts, both highlighting selections from our pops cabaret concert All You Need is Love. The first was presented on February 27 at St. Therese of Woodbury. This was the first time EMSO has performed at this facility and provided a wonderful opportunity to connect with a new audience. Highlights included guest singers Carmelita Guse and Lisa Butcher performing Selections from Hansel and Gretel and Lisa singing Deh Vieni, Non Tardar for an audience occupying two floors of the facility. Lisa’s young daughter stole the show dancing with her mother while she sang and the seniors loved the sing-alongs. 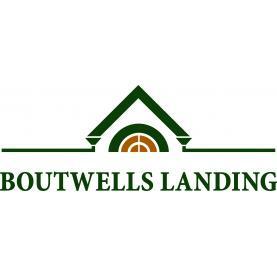 The second concert was presented on March 6 at Boutwells Landing in Stillwater. EMSO has received a warm welcome at this location many times in the past and this year was no different. Highlights of this concert included Megan Gangl, EMSO’s principal flutist, performing her solo, Valse d’Amour, and the flutes and piccolos playing Stars and Stripes Forever. Once again, the sing-alongs to Musical Highlights from Annie and The Best of the Beatles were of particular delight to the residents. 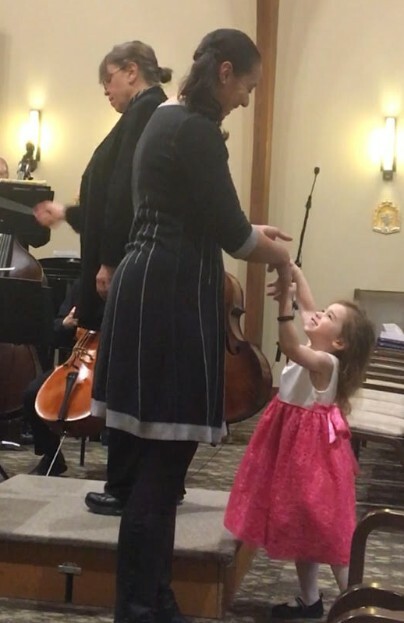 Guest singer Lisa Butcher dances with her daughter during her performance at St. Therese of Woodbury on February 27.